BOULDER, Colo., Feb. 28, 2018 /PRNewswire/ -- Frenchman Valley Coop, an established leader in agronomy and agricultural products, has deepened its partnership with Agribotix™ to continue to drive innovation leading to increased value for Frenchman Valley's growers. 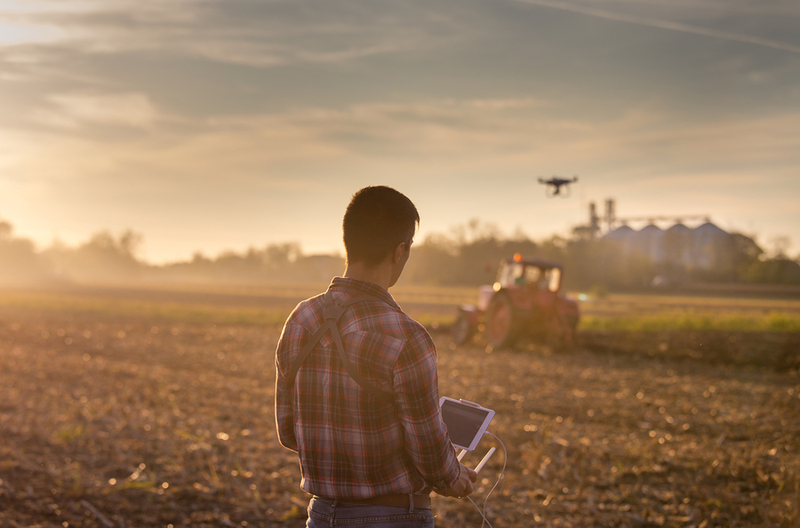 This season the coop is expanding its existing drone survey program for their growers, continuing their work with Agribotix, a leader in drone-enabled agricultural intelligence. Using Agribotix's award-winning FarmLens™ software, Frenchman Valley is providing greater insights on crop performance, increasing use of precision ag tools that enable more efficient and effective use of inputs and labor, even starting in late winter. 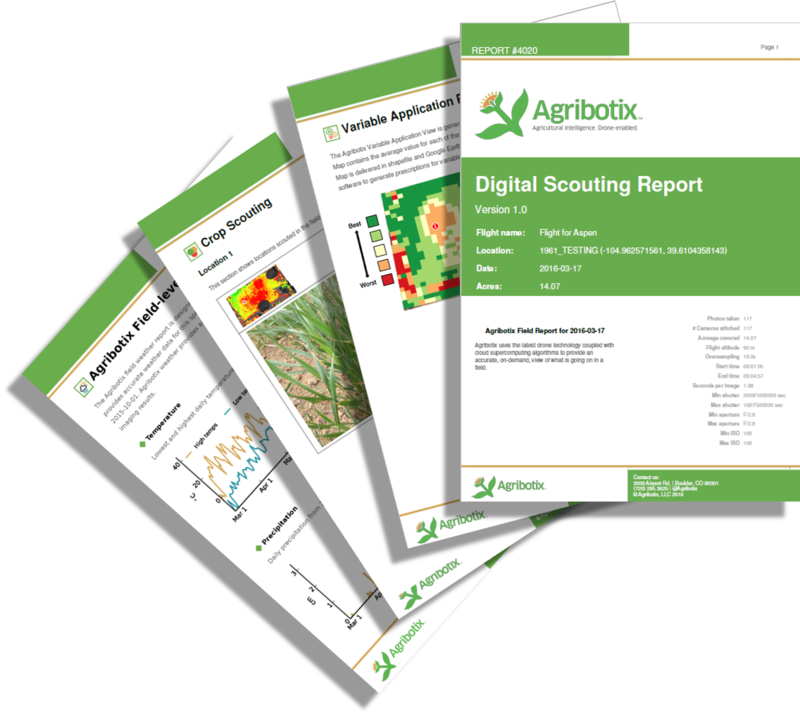 The Digital Scouting Report presents the analysis of data Agribotix FarmLens Digital Scouting Report from an agricultural drone to help farmers identify problems, increase yields and decrease use of expensive inputs like fertilizer. Positioning its FarmLens SaaS platform as "The Gateway to Precision Agriculture,"™ Colorado-based Agribotix is helping coop's like Frenchman Valley and other ag retailers expand their customers' use of variable rate and other precision ag tools, helping farmers increase yields and reduce inputs and other costs. In February and March, Frenchman Valley will be surveying their growers' winter wheat to see where emergence is strongest and where it needs a boost. "At Frenchman Valley Coop we are excited to see the potential an NDVI image has to influence a late season fertilizer application on wheat to increase both the yield and quality, thus increasing the growers' profit potential," says Jeff Wessels, head of Frenchman Valley's precision ag program Coop's Acre+. For their growers who will soon be planting corn, soybeans and other crops, this time of year is excellent for surveying bare fields to see where they'll need more or less herbicide and other inputs before they plant, making sure that soil is in the best possible shape for the highest potential yields. 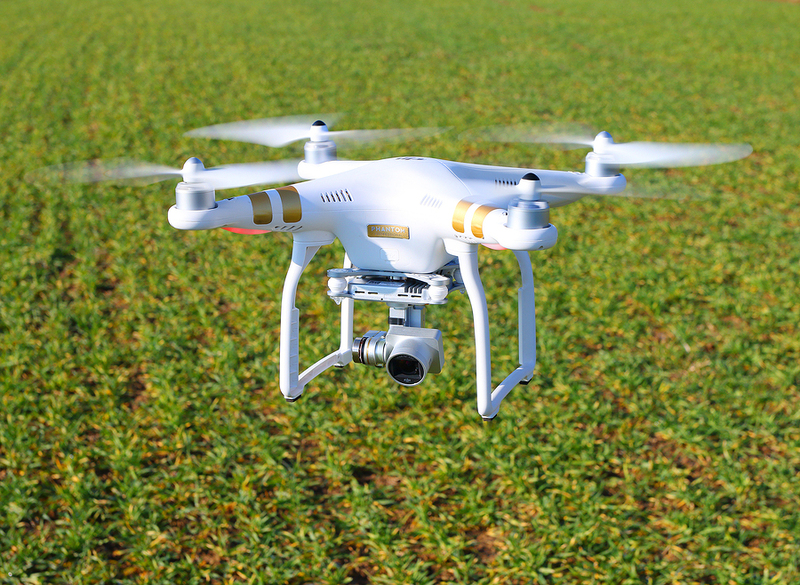 Looking at soil color displayed in drone images, growers and their agronomists can see where they want to take soil samples, letting drones guide yet another aspect of precision ag technology. Results from FarmLens can be pulled up on a smartphone or tablet to guide the user on a walk around the field, and are also available in a variety of file formats for whatever farm management software a grower might be using. Jason Barton, vice president of sales for Agribotix, knows that growers are at all different levels and types of technology adoption. "We want to make sure that when an agronomist from a coop like Frenchman Valley approaches customers or prospective customers, they can first listen to what those growers are already doing and what they're trying to accomplish. Then the agronomist will be confident how the results from FarmLens will add value to those operations. That puts both grower and agronomist in a much better position to be successful right away and for years to come as growers and the technologies they use continue to change." Founded in Boulder, Colorado, in 2013, Agribotix LLC delivers agricultural intelligence to increase yields and profits using drone-enabled technologies. All Agribotix solutions include FarmLens,™ a leading cloud-based data analysis and reporting solution for people using drones in agriculture. Outputs include agricultural intelligence maps for in-season fertilization, georeferenced reports that can be used to identify underperforming areas and specialized reporting that supports precision agriculture programs. The FarmLens solution is available separately and in bundles that include a drone system. For more information, visit www.agribotix.com or call (720) 295-3625. Frenchman Valley Coop is a leading provider of agricultural expertise, products and services in one of the world's most productive agricultural-producing regions. It is the sixth-largest cooperative in Nebraska with over 20 locations to serve its members. Its nearly 300 employees proudly serve its outstanding farmer-rancher members who have contributed to the cooperative's long-lasting success. For more information, visit fvcoop.com. Agribotix and FarmLens are trademarks of Agribotix LLC. All other trademarks are the property of their respective owners.